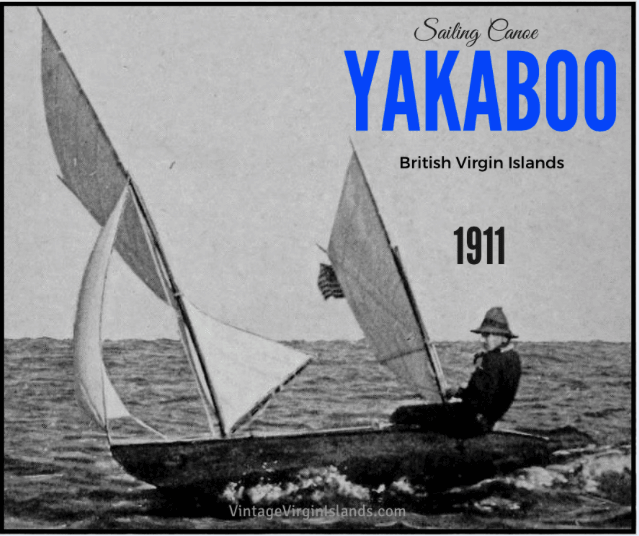 The Yakaboo was a light craft of 147 pounds with a length of 17 feet. She had just arrived from visiting Saba Island in the Dutch Antilles. The skipper, no stranger to the West Indies, went ashore to announce his arrival and was welcomed warmly by the Commissioner, Leslie Jarvis. 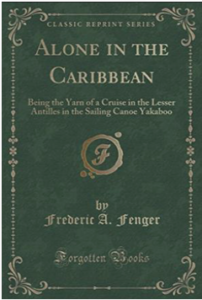 Captain Fenger was an American sailor, yacht designer and author, sailing alone through the West Indies on a seventeen-foot canoe he designed. He named it the Yakaboo, an expression used by islanders in the Pacific, which meant Good-bye. From the verandah at Government house, Captain Fenger marveled at the view, taking in Salt, Cooper and Ginger islands across the channel. When he expressed a desire to visit them, the commissioner agreed to drop him off at Virgin Gorda. From there, he could paddle through the islands visiting them one by one. The next morning after an enjoyable breakfast, the group embarked on a trip to several of the islands in commemoration of the King’s Coronation. Special treats of Pineapple syrup, baskets of buns and boxes of Coronation medals for each school child were going to be disbursed. The government’s sailing cutter, Lady Constance was loaded for the trip. Besides the goodies, there were guns, rods and a leather case with the Governor’s official helmet. Their first stop was East End. They shared their treats and commemorative medals with the happy recipients then set a course for Virgin Gorda. From there, the captain disembarked with his canoe and sailed out through the narrow passage by Mosquito Island, eager to explore the out-islands on his own. 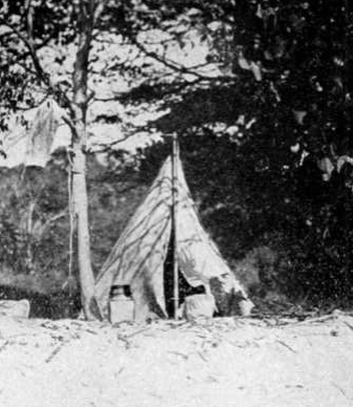 On Virgin Gorda, he was surprised to find no town, merely clusters of native huts. The two larger settlements had small school houses which he noticed were also used as churches. “Life in these small outer cays was very simple in nature. One lived by raising a few ground provisions near his hut and when he wished to change his diet, he went fishing. To obtain cash, he sent his fish and ground provisions to the market in Tortola or St. Thomas. The captain shared an interesting story of what happened when the island ran out of this important necessity. It was during the hurricane season when all the sloops were at St. Thomas. They were gone about a week and were due to return when suspicious weather set in and they were unable to leave. Once two days passed without any tobacco, he found the residents reverting to drastic measures for a smoke! “They dried leaves of various bushes and tried to smoke them with little success. They next burned dried grass and small pieces of bone. “At last, the threat of a hurricane passed and the home-bound sloops were sighted! In the morning, he was sailing towards Ginger Island when he saw a huge devil fish! 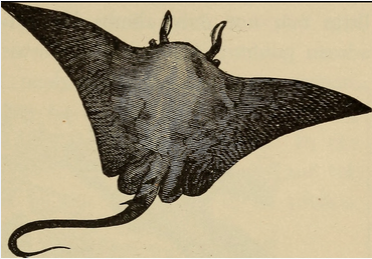 His fin, mottled brown and black like the rest of his upper surface, stood nearly three feet high! He judged its size to be about eighteen feet across from tip to tip. Having given the animal a wide berth, he landed at the little beach on Cooper Island. There, he stopped to mend his mainsail, where a batten had worn through its pocket. When he finished, he shoved off again. He went ashore on the beach of Salt Island where a few huts flocked together under the coco-palms. There, he met William Penn. Becoming friends after a few exchanges, William told the captain about the history of the island and the sinking of the Royal Mail Steamer that wrecked in the hurricane. As proof, he showed him a gilded mirror which had been “dove up” from the sea floor. Intrigued, they both visited the site briefly, before the captain said good-bye and sailed for his next destination. Arriving on Peter Island, he pitched his tent and noticed the wind suddenly dropping. Within moments, out of the bush came thousands of mosquitoes on a rampage! As they attacked him, he started beating the air frantically with a towel! On the last day of his cruise through the British Virgins, the captain stopped at Norman Island. Interestingly, the merchant Captain Fenger referred to was our great-great-grandfather, Henry O. Creque. 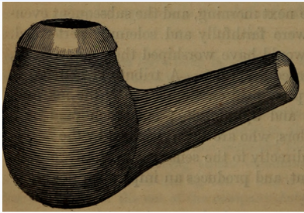 Tantalizing tales of found treasure have been in our family for almost 150 years! Caribbean history lovers are sure to enjoy his eyewitness account of this daring journey through the West Indies. His novel, Alone in the Caribbean, is available free online or for purchase at amazon.